Outside, you’ll need to check gutters and problem tree limbs. Indoors, you’ll want to tend to your large appliances and tackle overflowing closets. November is a good month to move some maintenance efforts indoors. This month also provides an opportunity to see if your hard work during earlier months paid off — nothing tests waterproofing efforts like a hard November rain. Pull your refrigerator from the wall and clean the condenser coils in back with a vacuum cleaner with a brush attachment. Also, vacuum dust from the front lower grille and clean the drip pan and the drain leading to it, if your unit has one. November is a good month to repair and reglue woodwork, because indoor air is at its driest. If you are regluing wobbly dining room chairs, clamp during drying by wrapping a rope tightly around the perimeter of the legs. Be sure to protect wood surfaces with cardboard before tightening rope. Try using toothpaste on white water stains on wood surfaces. Once the stain is removed, polish with furniture polish. Use paste wax and elbow grease to put a new sheen on wood furniture. Cleaning gutters is a slimy job, but the task will protect your siding and basement from expensive water damage. Don long rubber gloves, grab a gallon bucket and scoop leaves into the bucket by hand. Trying to use a garden trowel or other device just makes the task more cumbersome and can damage gutters. Blast the scum from the bottom of the gutter with a hose equipped with a pressure nozzle. If it doesn’t drain well, feed your running hose up the pipe to knock loose the clog. Dump the contents of the bucket on your compost pile and pat yourself on the back for a dirty job well done. Now that you’ve cleaned your gutters, you know which trees are dumping leaves on your roof, shading it enough to encourage moss, and close enough to cause serious damage should they lose a branch in a storm. Trees are dormant this time of the year and can withstand extensive pruning. Decide which ones need cutting back and hire a professional to do the job. This is not a do-it-yourself task if the trees you are looking at are high enough to affect your roof. Trimming large trees is a dangerous job that should be left to an expert. Heaters, especially forced air and wood stoves, can rob a home of humidity. A touch of moisture in the air makes heated air feel warmer, so you can keep the heat at a slightly lower temperature if your humidity is balanced. If your woodwork is cracking or your skin seems excessively dry, you need more moisture in your home. A furnace-mounted humidifier is likely the answer if your home has central forced-air heat and other measures don’t moisten things up. If you have a wood stove, put a nonwhistling teakettle on it and add water regularly (check it daily to make sure the water hasn’t evaporated). If you prefer not to go by feel, buy an inexpensive instrument called a hygrometer that measures humidity. For most of the country, pools are out of sight and out of mind during November. But if you live in sunny southern climes, this month marks the beginning of the dry season and the time to begin any pool maintenance job that requires emptying the pool. If a pool is emptied when groundwater levels are high, it can “float” and damage itself. So if you’re fortunate enough to live in a place where you can actually enjoy your pool in December, consider having major maintenance like replastering done this time of year. Some unfinished basements in wet areas have sump pumps installed. These pumps switch on automatically when groundwater levels rise, eliminating basement water before it becomes a problem. If you have one, make sure it is in good working order before the rainy season starts. Be prepared to protect your spigots when the weather gets chilly and flirts with going below the freezing level. The foam cups are commonly sold at hardware stores and provide a cheap insurance policy that will help keep exposed pipes from freezing. Well…it’s here!! The holiday season is upon us. If you are looking for fun events and things to do around Austin, CLICK HERE for a December Calendar of events (courtesy of Gracy Title Company). I have already marked the calendar for the Chuy’s Blue Santa Christmas Parade next Saturday! In a one-day blitz of shopping, consumers are expected to empty their wallets of more than $1 billion on Cyber Monday, the online shopping spree on November 26, according to spending projections from research firm, ComScore. The day follows closely on the heels of Black Friday on November 23, which kicks off the holiday shopping season at stores, and is often the busiest shopping day for retailers. Come Monday, not every web-browsing window shopper will hit the “buy” button, and 65 percent of shopping carts are typically abandoned by online shoppers, says the Baynard Institute in Copenhagen. These consumers may be motivated by a belief, often correct, that there’s a better deal out there. Cyber Monday 2012 may offer the best deals on technology products this year, says Brian Hoyt, senior writer for RetailMeNot.com, a coupon code site. That’s because merchants have held back their best deals for the Black Friday-Cyber Monday shopping bonanza to whittle down their inventory, and they are likely to sell out without needing to discount further, he says. Here are strategies that should help you navigate Cyber Monday and enjoy the best possible prices this year. Successful Cyber Monday shopping is not about aimlessly browsing or getting everything in one place, says Hoyt. It’s about honing your list down to specific items and searching for the lowest prices for each of them. One way to do this is to browse at stores over the holiday weekend, to scan bar codes of desired products into a price-checking application like Red Laser, and to check reviews or browse ads at home. And, when stores are shut, check for deals online. “That’s what retailers want you to do,” says Dan Olds, who runs Gabriel Consulting Group, a retail trend watching firm. Once you’ve narrowed down your wish list, it should take minutes to find the lowest price, says RetailMeNot’s Hoyt. Simply plug the item into a search engine like Nextag, Google Shopping or Pricegrabber, and evaluate. Then, enter details on the stores with the best prices into a coupon code site (such as http://RetailMeNot.com or http://couponcabin.com, http://dealcatcher.com) to see if there are codes that come up. When you do the math, you may find that the merchant in the No. 2 spot may be offering a 10 percent discount deal or free shipping, offering better overall value than the store in the top spot. Indeed, try to avoid shipping costs altogether. To broaden your chances of finding deals, “Like” and follow your favorite stores on Twitter and Facebook; some retailers will post deals just for their online fans. If you are an active online shopper, you may receive personalized deal offers as the holiday season progresses. For example, if you like to buy Coach handbags at Nordstrom, you might see offers to get 20-percent off of Coach accessories. “The conversion rate of a typical coupon deal is less than one percent, which is very low, but the conversion rate for tuned and personalized offers is much higher – in the 5 to 10 percent range,” says Kevin Sterneckert, vice president of retail research at Gartner Group. Lands End, LL Bean and CVS are among retailers who are tapping their databases to entice shoppers with customized offers. Should you jump at these deals? Only if the items are on your shopping list and you’ve done your research on prices. You can reap additional rewards by picking your mode of payment wisely. For online shoppers, Brian Kelly of ThePointsGuy.com recommends checking your credit card’s rewards website and visiting retail links from there. Some cards will offer a 5 percent bonus for such transactions. You can check your card benefits for details. This year, PayPal is offering price-match guarantees and free return shipping for purchases made using PayPal. Citi, Visa and MasterCard also frequently offer price matching. Other shoppers rely on various reward and cash-back cards to maximize their benefits. If you’ve taken all these steps and still don’t like the deal you’re getting, you could take your chances and wait – December 17 is “Free Shipping Day” (http://www.freeshippingday.com) for procrastinators who want a day of their own. (c) Copyright Thomson Reuters 2012. May your day be full of joy, happiness, and those you love. I know a lot of you out there are probably stressing out about Thanksgiving dinner right about now. Use this great resource I found in order to make your holiday plans run smoothly! Make desserts, breads and rolls. These can be frozen or stored in the refrigerator. Make pies. Pumpkin pie should always be stored in a cool place. Cook yams, cranberry sauce and soups. Cool and store in refrigerator. Cube bread for stuffing and allow to dry. Do not make stuffing in advance. If using a frozen turkey, it must be thawed properly. Place a boot tray and portable coat rack near the door for the convenience of your guests. Purchase fresh vegetables and salad greens. Wash, trim, place between sheets of paper towel, slide into a zip-lock bag and place in the refrigerator. This keeps the greens fresh. If you are planning on having a bar, this is the time to stock it. Also buy juices, soda, tea, coffee and any other drinks you plan on serving. Calculate your turkey cooking time ahead of time, as you don’t want to keep your guests waiting because your turkey isn’t cooked. Be certain your turkey is fully thawed and ready to be put into the oven the next morning. Prepare the stuffing for your turkey. Assemble fresh fruit for a centerpiece, if desired. Wash, peel and chop fresh vegetables for cooking. Cover with water and place in the refrigerator. Cook potatoes and mash them. Keep them warm in a crockpot set on low. When the turkey is almost done, remove vegetables from the refrigerator and cook. If done, remove your Thanksgiving turkey from the oven and allow it to cool for approximately 30 minutes. 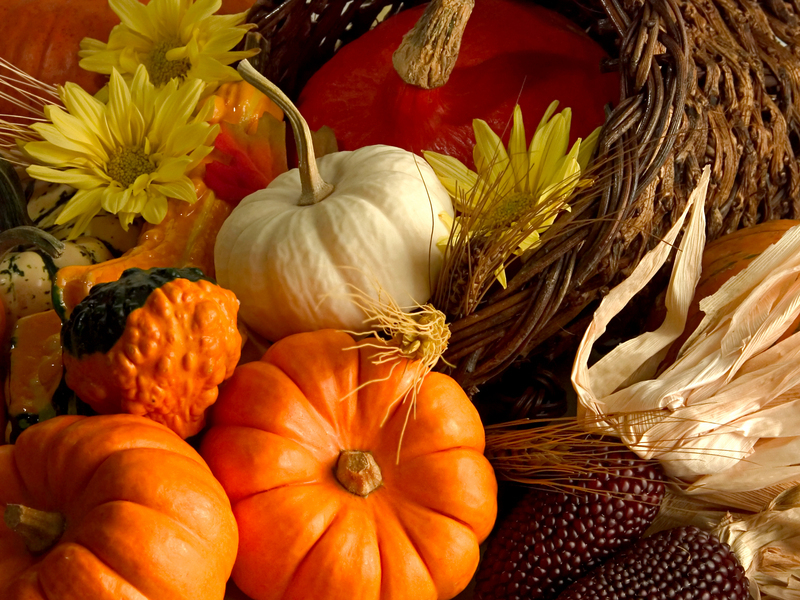 While the turkey is cooling in its own juices, remove foods from refrigerator for warming. Cook frozen vegetables, if desired. Take desserts out of the refrigerator. Ask older children to fill water glasses. Take up food and place it on the table or buffet. This is a good time to ask for a volunteer or two. Have each guest take turns stating what they are thankful for. 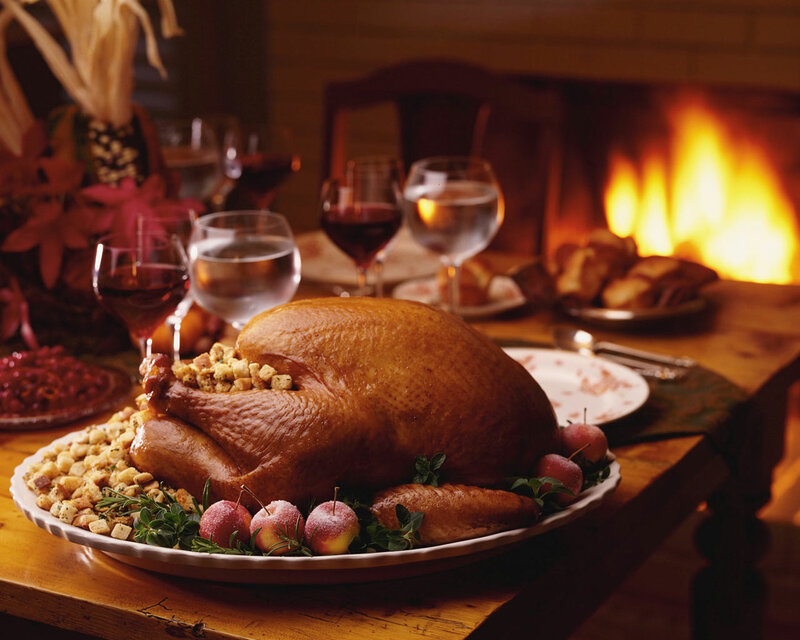 Enjoy your delicious Thanksgiving dinner with friends and family. By following the tips outlined here, you will be the most organized Thanksgiving dinner host, and you will have much more time to enjoy your guests’ company when they arrive at your home. You may also want to ask a couple of your closest family members or friends to come a little early to lend a helping hand. They’ll be glad to do it, and there’s always fun to be had in the kitchen at Thanksgiving! Have a great a safe holiday tomorrow! You might see some holiday deals on these items, but you’ll likely get much better prices if you wait a bit. With all the Black Friday ad leaks and sneak peeks unearthed in the past few weeks, this season’s shopping extravaganza is looking ripe with deals and discounts for all. But even though many product categories will see new all-time low prices, not everything will be a good purchase on Black Friday. In some cases, you would be better off skipping certain deals and waiting for a better offer later on. Here are 10 items that are not worth buying this Black Friday. We’ve said it many times already, and we’ll say it once more: Black Friday is not the best time to buy toys for the holidays. Many will likely still be discounted for Black Friday, and it may feel pretty good to get your shopping done early, but you won’t love that sinking feeling you’ll get when you see bigger discounts on those toys about two weeks before Christmas. Speaking of toys, if you’re looking to buy any of the major video game consoles this holiday, you’re likely to get more bang for your buck by opting for one that comes with a few extras. While we’ve already seen a few choice Xbox deals in the leaked Black Friday ads, in years past the vast majority of Editors’ Choice console deals went to holiday bundles that included premium accessories and two or three game titles. These were frequently discounted 30% to 40% off their retail prices. Black Friday is an excellent time to invest in a new HDTV, as we predict a variety of size categories will hit their lowest price points. But don’t expect the best deals to be tagged with name brands. Typically, the rock-bottom prices will mostly apply to third-tier manufacturers. Instead, brand-name TVs tend to see their best price of the year in January and February as manufacturers look to clear stock in preparation for new models in the spring. There’s no shortage of digital camera deals around Black Friday, but keep in mind that the premium current-generation models are just a few months away from being replaced by a new line of 2013 options. If you’re eying a brand-new digital SLR, we recommend waiting until February or later when it becomes an “old model,” resulting in more aggressive discounts from retailers. While not typically on anyone’s “To Buy on Black Friday” list, Christmas decor tends to end up in-cart as impulse buys. Sure, that string of lights or holiday wreath might be on sale, but deals on Christmas items get better the closer we get to the holiday itself — and of course are the best after the holiday. For some, it may seem silly to advise against office supply deals on Black Friday, as it’s not typically a category associated with the shopping event. But for several years running, office supply stores like Office Depot and OfficeMax have released Black Friday ads in the hopes of encouraging an uptick in business. Unfortunately, these deals are generally no better than those we see throughout the rest of the year. In fact, during the entire Thanksgiving through Cyber Monday stretch in 2011, we only found a measly three Editors’ Choice deals in this category. We’re flagging this accessories category “do not buy” for the entire holiday season. Much like Christmas items, there will be lots of sales advertising shiny, metallic objects perfect for him or her. But the discounts on jewelry around the winter holidays are no better than those around Valentine’s Day, when baubles are at peak demand. And instead of buying a watch now, consider holding off until the spring and summer when we see more Editors’ Choice deals. During Black Friday, we’ll likely see some of the best apparel coupons of the year from a variety of retailers. However, if winter apparel is on your list, it’s smarter to hold off until January, when those items are added to clearance sales that take much deeper base discounts. We will inevitably find additional stacking coupons then too, to make those stronger sales even better for your wallet. The long-awaited iPad Mini will set you back at least $329, and if it follows the price pattern of its distant predecessor, the first generation iPad, it won’t see a discount until several months from now. While there’s an off-chance that an attention-seeking retailer could offer an iPad Mini promotion — the latest full-size iPad is included in the Target Black Friday ad, after all — the bottom line is this: The iPad Mini features essentially the same innards as the iPad 2, and we’re predicting that the latter will fall to $299 this Black Friday. Therefore, the iPad 2 will offer more screen real estate at a lower price. While we advise against purchasing the above products around Black Friday, keep in mind that nothing is written in stone, and we may still see some stellar deals within these categories. However, it’s more likely that we’ll encounter so-so offers, so it’s best to temper your expectations.